Dwayne Johnson never has let me down ever. Somehow he knows how to make the best of it. But if he is being directed by Brett Ratner there is only so much you can do. That guy makes the director of Hercules version with Lou Ferrigno look like a genius. I even dare to say that that film is superior to this one. No, he did not just say that? Yes, I did. Let me explain. Even if the Lou Ferrigno one is incredible cheesy and very low budget even for it's day. It is never pretentious or takes itself too seriously. It embraces it's badness and treats the outrageous and ridiculous events that unfold as they are marvelous. By doing so it becomes one exciting and very entertaining ride. Plus Lou shows what Hercules should be about. A man with superhuman strength. Back to The Rock as Hercules. The first two minutes showed real promise when the narrator is telling about the past adventures of Hercules. Then it becomes apparent that they play around with the myth in a way that I lost interest after only five minutes into the movie. It took a whole half hour for me to get interested somewhat with a giant battle against green men who all very much resembled Kratos from the God of War franchise. Thing is, that while it was mildly entertaining it never really gave me that feeling I was watching a fantasy flick. 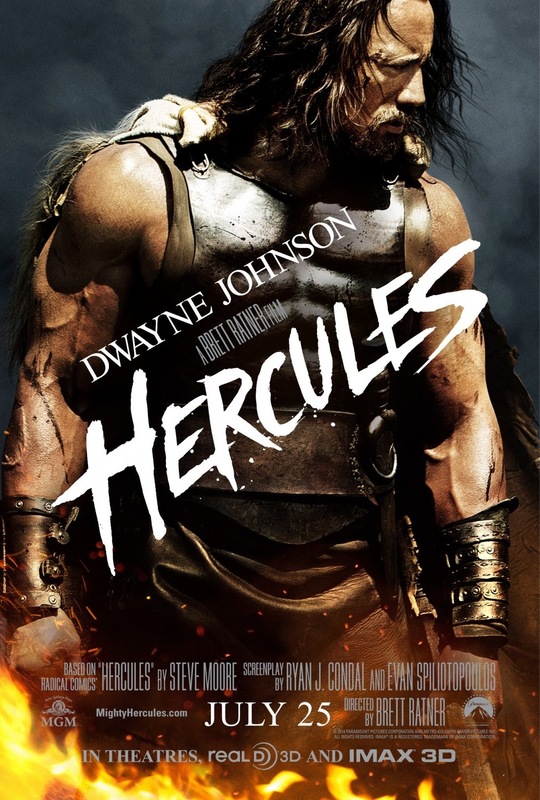 Apart from a few sequences where Hercules shows how strong he is. It never quite is what you would expect of a half god. Plus the fact that Hercules relies on his men to fight along with him takes a lot away from the myth. Actually they try real hard to remove the mythology. Which is beyond me. Because those stories about him defying the monsters and gods is what makes him so interesting. I am sure Brett Ratner thinks he is very clever. I think he is a downright idiot that instead of reading and learning the source material just makes up his own stuff that is just to bad and silly for words. Hercules is one giant waste of time. Don't watch it.